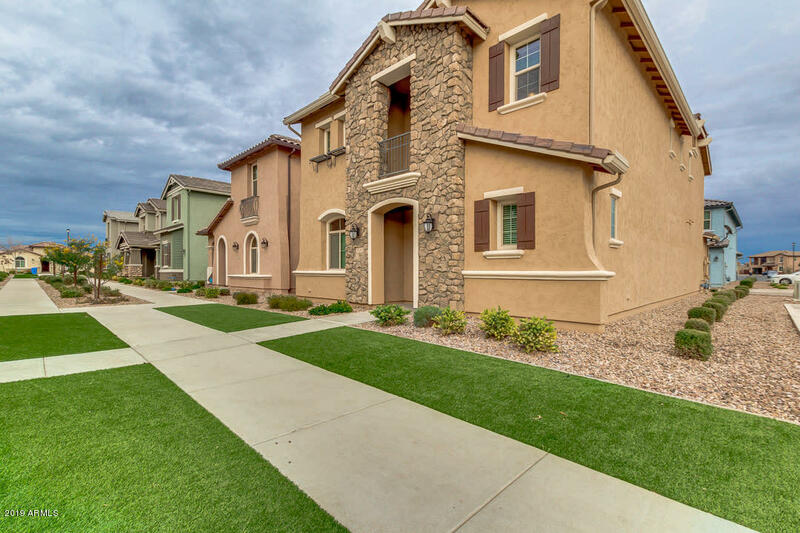 All COOLEY STATION PARCEL 15 homes currently listed for sale in Gilbert as of 04/19/2019 are shown below. You can change the search criteria at any time by pressing the 'Change Search' button below. "This home is located in the hottest zip code in America. The subdivision is brand new, the people around here are wonderful and the community is something you see in movies. The amenities at COOLEY STATION are superior to any in the state. The Olympic size swimming pool is perfect, pickle ball courts, basketball, barbecuing areas for the community and the play areas are awesome. You will not find another place like this on Earth. 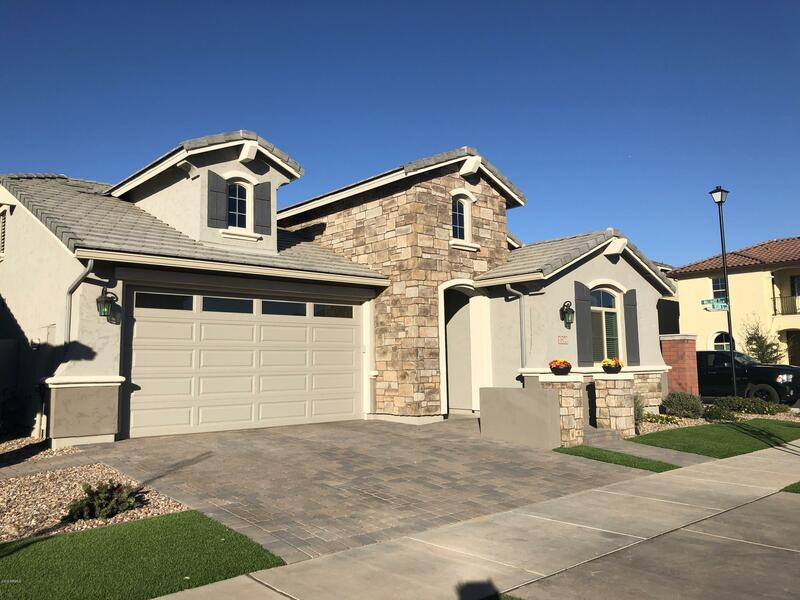 Backyard is professionally landscaped and everything in the in"
"You'll love this highly upgraded, better-than-new home on a premium homesite adjacent to a walkway in Cooley Station! This home offers 4 bedrooms & 3 baths in 2400 SqFt with a spacious great room & large upstairs loft. The gourmet kitchen features white maple cabinetry with crown molding, granite countertops, subway tile backsplash, gas cooktop, stainless appliances, pantry, and island with breakfast bar & pendant lighting. Perfect for indoor/outdoor entertaining, multi-sliding doors lead out"
"Stunning Home in the Sought after Cooley Station. This property is stunning and has everything on would need for that forever home. Gorgeous Style throughout this single level home. 3 Bedroom plus a Den!" "Beautiful gourmet kitchen with stainless appliances, granite, reverse osmosis, pantry, island. Gorgeous engineered bamboo flooring on 1st floor, wired for surround sound Bonus room downstairs which easily converts to 5th bed/office along with full bath downstairs. 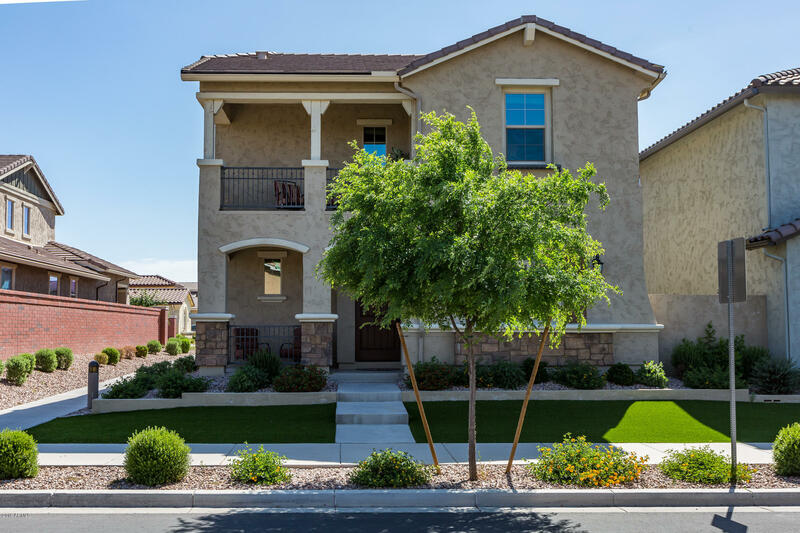 4 bed, 2 bath and a roomy loft upstairs Master has a generous size walk-in closet, small balcony, granite countertops and spa shower in master bath. 3 car garage w/ epoxy floors, community park, pool, basketball and pickleball courts"
"Beautiful single story almost brand new home in sought after Cooley Station! Stunning curb appeal on a corner lot, 3 bedrooms + den & 2 baths, open floor plan with great room open to kitchen & dining room and split bedrooms. 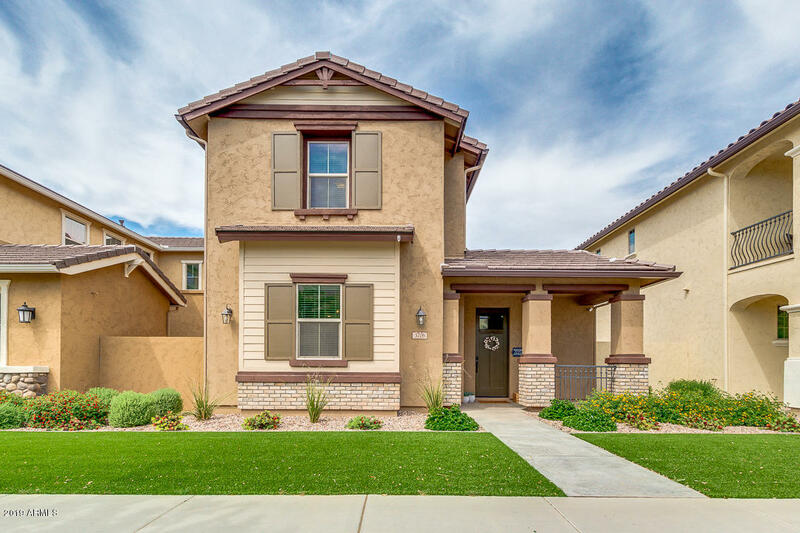 Beautifully upgraded kitchen features cream cabinetry, granite counter tops, island with breakfast bar and pendant lights, gas cooktop, stainless appliances & walk-in pantry. 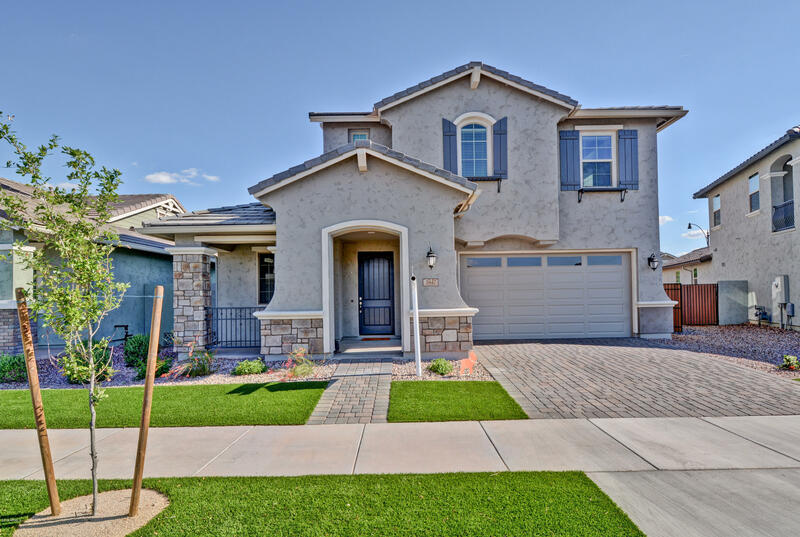 Sliding doors lead out to the covered, extended paver patio and beautifully landscaped backyard with"
"Beautiful home! 1 bedrm & 1 full bath located downstairs.Large great room, with lots of windows for natural light, opening into the kitchen/dining area with granite, pantry and big island. All SS applicances. Lg sliding glass doors off the kitchen takes you out to a paver patio with built-in BBQ & bar, perfect for outdoor entertaining. Upstairs has LARGE LOFT. Master bedrm has a walk-out covered balcony. 2 more bedrooms on the other side with another bath and laundry room. Other features incl"
"You'll love this highly upgraded home on a corner lot in Cooley Station! Beautifully maintained by original owners, this home offers 3 bedrooms & 2.5 baths in 2238 SqFt with a main level great room & upstairs loft. The gourmet kitchen features dark maple shaker-style cabinetry, gas cooktop, stainless appliances, Quartz countertops, pantry, island with breakfast bar, & spacious dining area. A 15-foot slider leads out to a charming paver patio and side yard, perfect for outdoor entertaining! Bed"
"Spectacular two story nestled in a great neighborhood is now on the market! 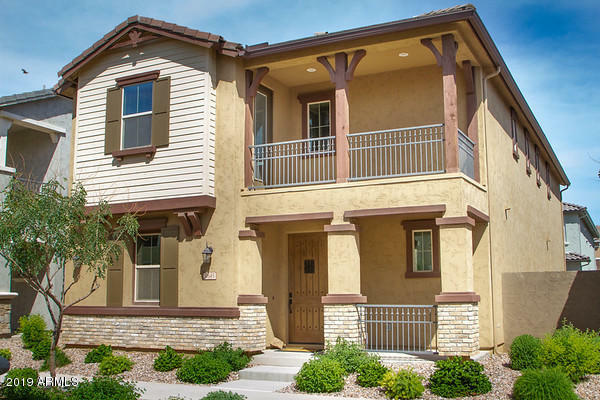 This wonderful 3 bed, 2.5 bath residence will dazzle you the minute you lay eyes on it! 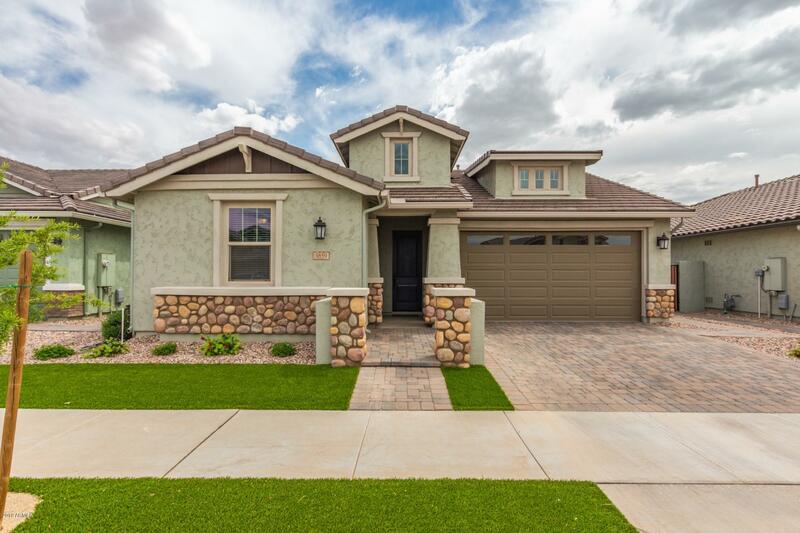 Offering a 3 car garage, and beautiful curb appeal it couldn't get any better. 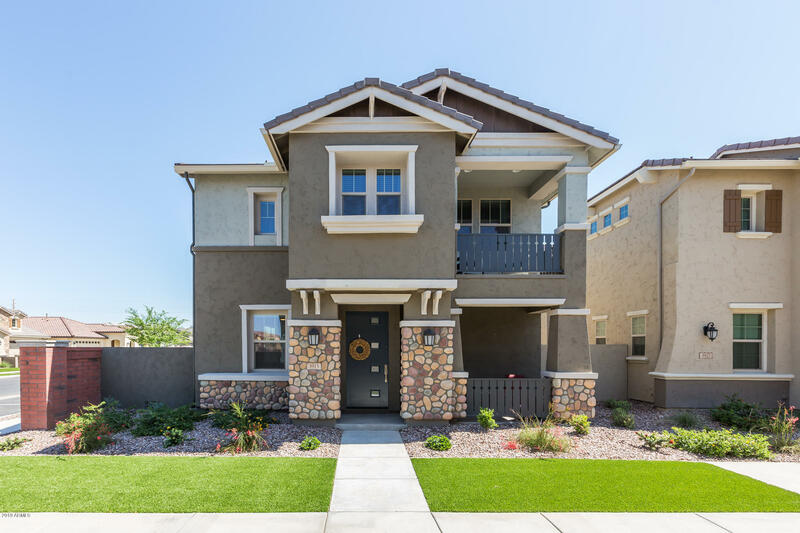 The Interior boasts perfectly selected upgrades, including surround sound in the great room and Master and fantastic open floor plan with tile flooring. The kitchen is equipped with stainless steel appliances, lots of storage, granite countertops, backsplas"